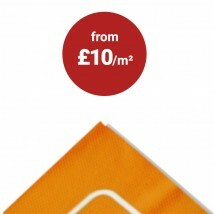 Welcome them home with a personalised “welcome home” colourful banner. Choose from our template below. All the Welcome Home banner designs shown below can be easily customised using our online banner design tool. Customising is straight forward you need no experience and designs can be modified in just a few clicks. You can view a pdf file before we go to print Personalised Welcome home banners are printed onto PVC so can be hung indoors or outdoors. For fully bespoke celebration banner designs we offer a banner design service.